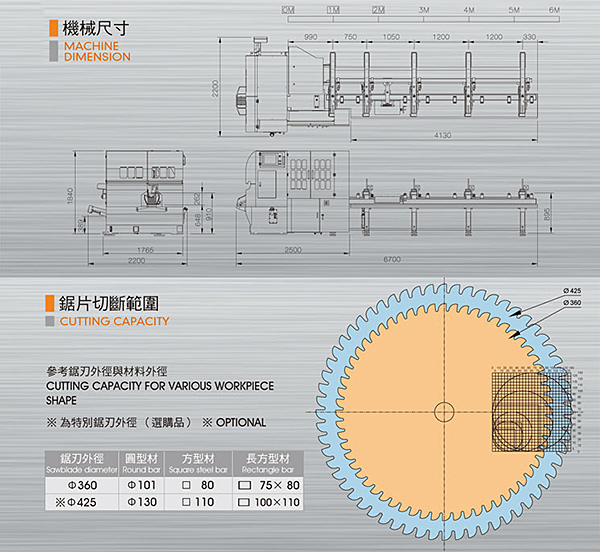 The THC-70NC, THC-B90NC, THC-130NC, THC-165NC High Speed Tungsten Carbide Sawing Machine is designed and engineered to create optimum cutting performance. 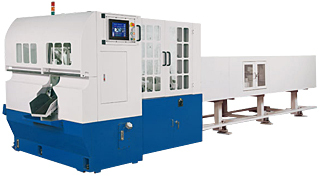 It features high speed, high efficiency, smooth surface of cut and high accuracy. 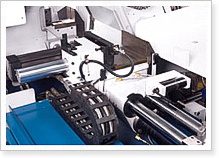 The THC-70NC, THC-B90NC, THC-130NC, THC-165NC is especially ideal for cutting solid bars and angular steel. 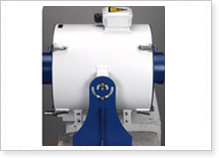 Also suitable for cutting steel pipe by using a HSS sawblade. THC-BNA102NC, THC-NA168NC is especially ideal for cutting aluminum solid bars, angular aluminum, and aluminum pipe. The Human-Machine Interface computer controlled POD touch sensing screen assures maximum operational convenience. All settings are centralized on the screen. Head and tail pieces separate automatically. 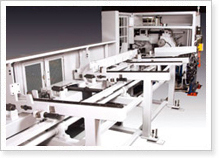 The first and second workpieces are outfeed separately. 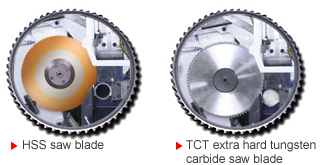 TCT Carbide Sawblade mm 360 x 2.25/2.3 x t2.5 (t 2.5 ~ t2.7) std. 425 x 2.25 x t2.6 (t 2.5 ~ t2.7) opt. 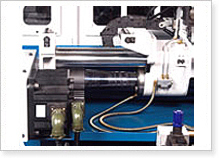 Spindle Speeds rpm 12 ~ 120 rpm. Sawhead Drive A. 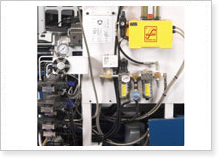 Material feeding and cutting is driven by hydarulic system. All specifications, dimensions and design characteristics shown in this catalogue are subject to change without notice. 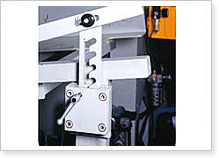 Products specifications are based on the actual machines. The manufacturer holds explanation rights.